Veterans Day is a great time to educate your children about the history of this holiday and the sacrifice and dedication of our U.S. veterans. So, how do you celebrate this holiday in a creative and constructive way with your children? 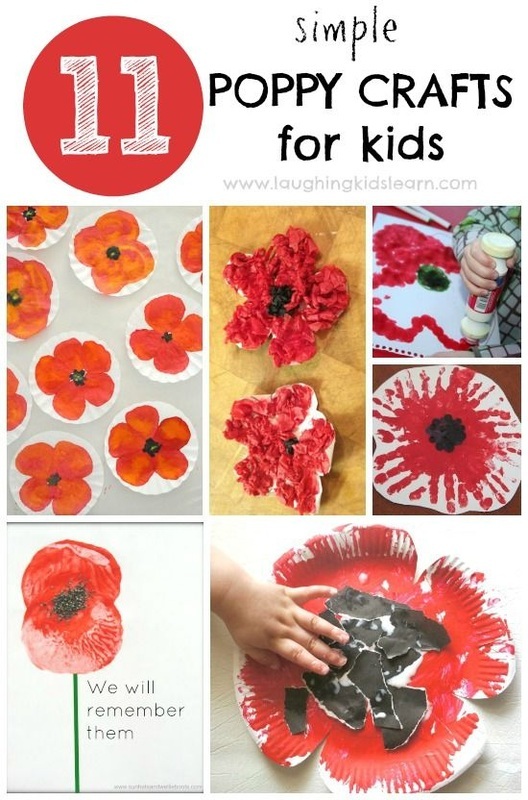 Veteran's Day Crafts for your youngest kids. Fun for Kinders and 1st Graders: check out TeachersPayTeachers and look up veteran's day. Several really neat treats under $1!! Quality Art Projects for 3 - high school. From my FAVORITE Art Teacher! Some of the bloodiest battles of World War I took place in the areas of northern France and southwest Belgium known as Flanders and Picardy. For a map of those areas, try out Google Maps or another mapping website. The British front line was determined to keep the Germans from traversing Flanders and the Ypres river valley to reach the port of Calais. Troops from both sides were holed up in the Ypres salient, an outward projection of the battle line. Defending British troops were vulnerable on three sides; therefore this was a bloody and dangerous place for a soldier to be. The destruction from the battles in this area reached beyond the battlefield to the towns and roads of the area, and led to the demolition of buildings, roads, and all plant life, leaving only mud. Where do the poppies come in? Noticed as early as the Napoleonic Wars, red poppies grew on the graves of dead soldiers in the fields of northern Europe. Evidently, poppy seeds will lie underground for years and bloom if they are plowed up. In the spring of 1915, red poppies flourished in the fields of the Ypres salient covering the newly dug graves. Where does the poem come in? The scenes of the spring battles in the Ypres salient moved John McCrae, a Canadian doctor, to write "In Flanders Fields." He wrote the poem as he sat in the dressing area (where wounds were dressed) looking out at a field of graves. The poem was later published in Punch Magazine. McCrae died of pneumonia in 1918, a common killer of Great War soldiers. Inspired by McCrae's poem, American Moina Michael wore poppies to honor the war dead. 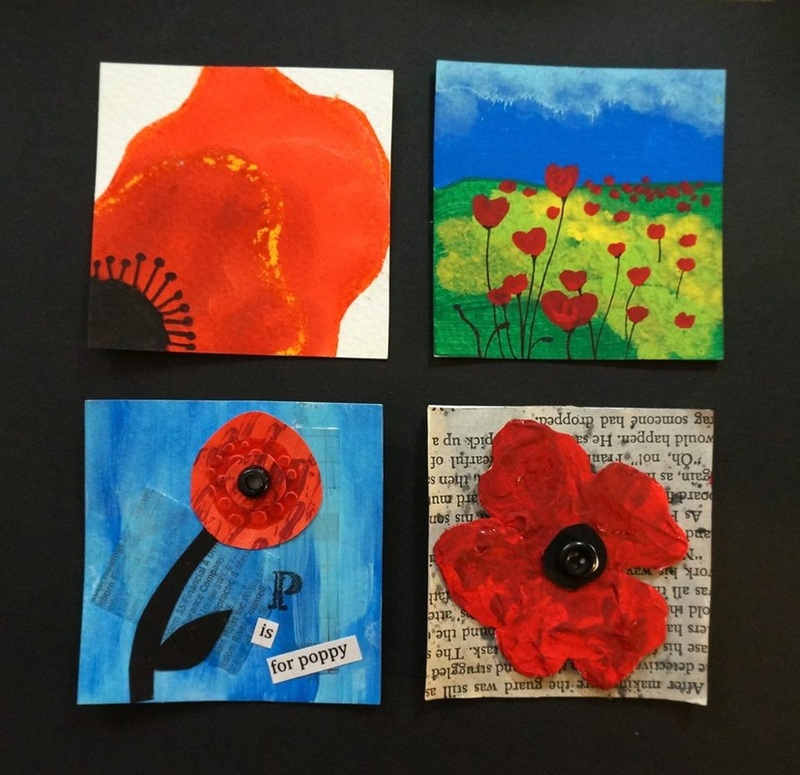 She also began to sell poppies to raise money for disabled veterans. After meeting Moina Michael in 1920, Frenchwoman Madame E. Guerin started selling handmade poppies to raise money for poor children who were living in the aftermath of the Great War. Soon thereafter Field-Marshall Earl Haig, the former British Commander-in-Chief, encouraged the selling of paper poppies to raise funds for veterans. This tradition spread to Canada and then to the United States.